A great addition to your coffee table in any room! 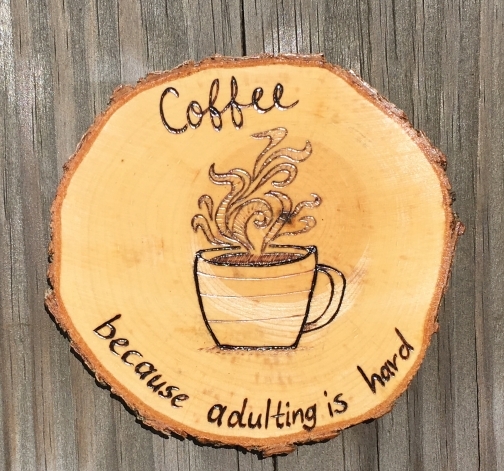 This is one of several coffee coaster designs with a coffee cup and quote saying "Coffee because adulting is hard". 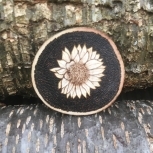 This wooden coaster is on large maple wood slice approximately 3 to 3.5 inches in diameter and about 1/8 of an inch thick with a wood burnt coffee/quote design. 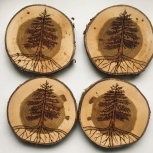 All coasters come with three coats of polyurethane finish so the wood is protected when you use them as coasters. 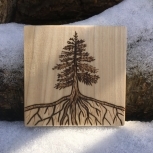 I've been using a couple of coasters for myself and they are a great addition to my living/dining room while keeping tables safe from hot or cold drinks. This is a great gift for that coffee lover. 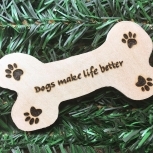 Please note that wood products vary in shape and sizes due to natural tendencies of wood. Some items may have minor knots, but I try to avoid these as much as possible. Item ships from: South Charleston, WV, US. 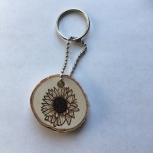 $3.70 USD ($1.00 USD when combined with another item) by USPS. I generally ship non custom order items within 2-5 business days depending on how long it takes me to make the item and if I'm working my primary job or not (work 2 days and off 2 days with primary job) so if make a non custom order purchase on a day I don't work I sometimes have it shipped out in 2 days. 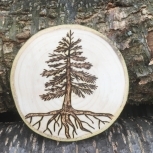 If I am working and it's a custom order or larger item it may take 4 business days or longer depending on the custom item. Custom items depend on the amount of changes needed and message response times. CUSTOM/personalized orders DO NOT apply to returns or refunds. Orders that are not personalized can be returned after 7 days of receiving your item. If the item(s) are damaged or isn't what you wanted then send it back within a week of receiving and you'll get your money back. Buyer pays for return shipping.